/ 11 Bhliain den Phuball Gaeilge ag an bPicnic Aibhléiseach – 11 Years of An Puball Gaeilge @ Electric Picnic! 11 Bhliain den Phuball Gaeilge ag an bPicnic Aibhléiseach – 11 Years of An Puball Gaeilge @ Electric Picnic! Electric Picnic’s long-running Puball Gaeilge (Irish-language tent), now in its 11th year, will again have a fantastic programme of events this year in conjunction with Raidió na Life! There will be bands playing, live podcasting, a magic show, Ted Talks as Gaeilge, comedians, plays, poetry and more in this year’s programme in An Puball Gaeilge! Each night will see new music presented by Raidió na Life, Rónán Mac Aodha Bhuí, and Raidió Fáilte. Among those who festival-goers can see at Friday night’s Siamsa Raidió Na Life will be Cult Called Man, Three Underneath, Oski Bravo, Exiles, Bruadar and Ullchabháin. Saturday night’s Cabaret Craiceáilte will see Belfast’s edgy Irish-language rappers Kneecap, alongside other fantastic musical acts such as Shane Hennesy, Thatchers of the Acropolis and many more. 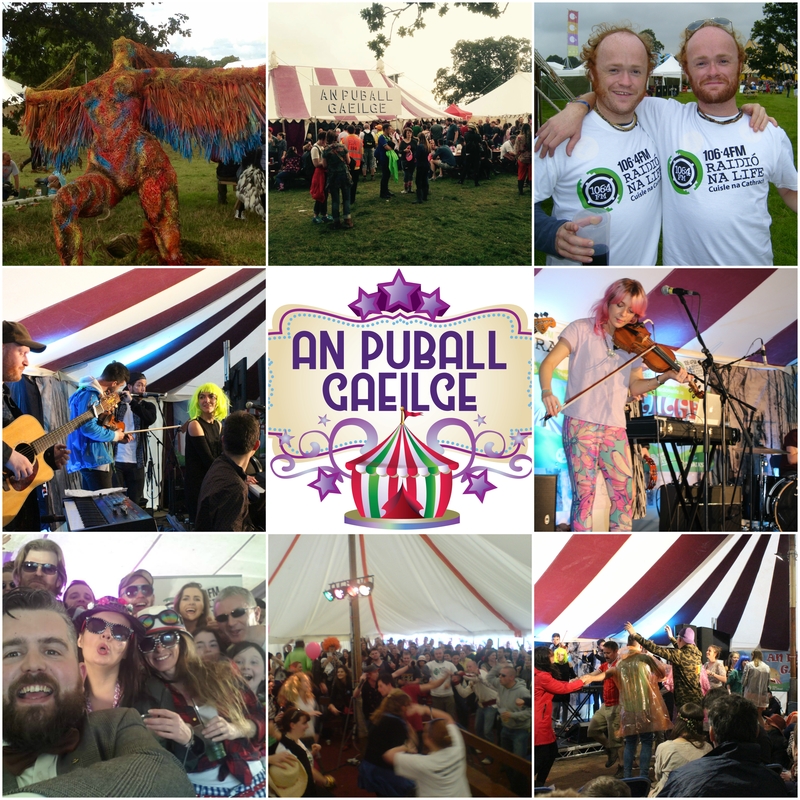 This is the 11th year of An Puball Gaeilge at Electric Picnic! An Puball Gaeilge (The Irish-language Tent) has been part of the festival’s programme of events every year since 2007, when renowned musician Rossa Ó Snodaigh of Kíla set up the Irish-language stage at the festival in conjunction with Raidió na Life. Many groups have come on board since and taken part in the Puball over the years, including Kíla, Seo Linn, Aindrias de Staic, Polca 4, The Bonny Men and many more besides. An Puball Gaeilge is supported by Foras na Gaeilge and Glór na nGael.